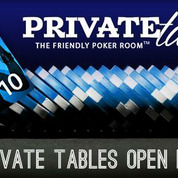 The Iipay Nation of Santa Ysabel established Santa Ysabel Interactive and launched the I-gaming poker website Private Table at www.privatetable.com to offer Class II gaming to customers through Internet servers located on tribal lands. In offering online gaming through Santa Ysabel Interactive, the Tribe is exerting its sovereign right under the Indian Gaming Regulatory Act (IGRA) to regulate and conduct Class II gaming from the tribe’s reservation. Class II gaming, as defined by IGRA, includes poker and bingo, but does not include slot-based games or house-banked games, such as blackjack. House-banked games and slot machines are defined as Class III games, and can only be offered in a tribal casino upon agreement with the state through a Tribal-State Gaming Compact. Santa Ysabel has had such a compact with the state since 2005, but has no plans to offer Class III gaming through its interactive website. The Santa Ysabel Gaming Commission has enacted comprehensive regulations to facilitate regulatory oversight of the operations of Santa Ysabel Interactive. The basic foundation of these regulations is the same as those approved by the State of Delaware to regulate that state’s legal interactive gaming activity. The Santa Ysabel Gaming Commission developed a robust set of gaming regulations for ensuring the integrity of the gaming activity and to prevent unauthorized access of the website or corruption of the website. Santa Ysabel Interactive and the Santa Ysabel Gaming Commission have taken great care to address public agency and consumer concerns in the enterprise’s I-gaming platform by integrating substantial consumer protection strategies related to: age and location verification, safe and secure payment processing, protection of confidential player information, and responsible gambling resources, just to name a few. Click on the link to access the pdf document. How can it be legal for Santa Ysabel to offer online gaming when no state law currently exists for such activity? Tribes are considered sovereign nations in the United States and inter-tribal gaming employing the Internet has been legal for several years. Class II gaming, such as poker, have been exclusively regulated by tribes in California since 1999. Absent a specific state prohibition on this type of gambling activity, which does not currently exist in California, tribes are free to engage in this activity as long as the activity is regulated by the tribe as described in the federal Indian Gaming Regulatory Act. Santa Ysabel’s online gambling, as designed, is in compliance with both state and federal law. 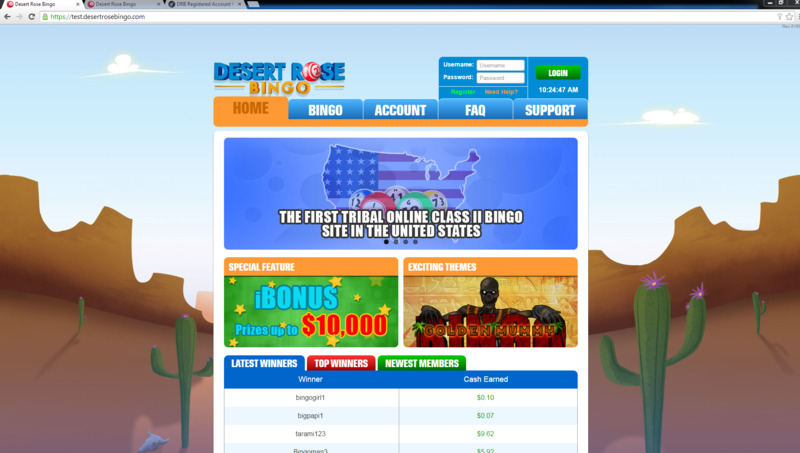 If this activity is legal, why haven’t other tribes in California entered the online gaming market? Several tribes in California have entered the online gaming market or are very close to doing so, employing a similar legal construct as Santa Ysabel’s enterprise. Larger gaming tribes are generating sufficient revenue through their land-based casinos and do not feel it is necessary from a business perspective to enter the online gaming market at this time. Rather than invest the time and energy required to create a reliable and comprehensive regulatory structure necessary to conduct adequate oversight of online gaming, as Santa Ysabel has done, many tribes have decided to leave this task to state gaming agencies through the legislative process. Is Santa Ysabel Interactive’s I-gaming website vulnerable to corruption by criminals and organized criminal groups? Like any enterprise conducted over the Internet, from Internet-based shopping networks to online banking, there are those seeking to take advantage of the business, as well as the consumers patronizing the business. Recognizing this as a modern reality, the Santa Ysabel Gaming Commission has worked alongside online gaming platform designers, payment processors, and other technology experts to minimize system vulnerability and build in business and consumer safeguards which are consistent with industry standards in highly regulated, successful online gaming enterprises around the world. Similar to the Gaming Commission’s commitment in the tribe’s land-based casino, the emphasis is on maximum integrity and transparency regarding game play, barriers to infiltration by nefarious persons and criminal groups, and unwavering protection of the consumer. Gaming Commission staff members constantly monitor all facets of the Interactive gaming enterprise, from the patron registration process, to play of the games, to payment processing and distribution of winnings, in order to prevent or detect potential abuse as early as possible. Unlike in a land-based casino, nearly every facet of Interactive gaming is electronically archived and available for subsequent review for dispute resolution, to identify potential system vulnerabilities, and to verify regulatory compliance. Does Santa Ysabel support state Internet gaming legislation? There are currently two pending legislative proposals being considered by the California Legislature. Santa Ysabel and other California tribes have significant concerns regarding both legislative proposals. The current proposed legislation excludes all but the wealthiest gaming tribes from engaging in state-regulated online gaming. Smaller or remotely located tribes, like Santa Ysabel, would not be able to meet the financial prerequisites for participation in online gaming as currently proposed, in spite of their years of experience conducting and regulating brick-and-mortar Class II and Class III gaming. Many tribes feel that the current proposed legislation gives the state too much regulatory authority over tribal online gaming, an authority which historically has been the sole purview of tribal gaming regulators due to the Class II status of the games involved. The proposed legislation discounts and marginalizes years of successful and experienced regulation of tribal gaming in California in favor of relatively inexperienced state gaming regulators. Santa Ysabel and other tribes believe that effective Internet-based gaming regulation would result from an equal and respectful partnership between state regulators and tribal gaming regulators. Tribes have a long history of being marginalized and discounted by government agencies. Tribal gaming has enabled some tribes to assert their rightful place in U.S. society and provided economic opportunity and the right to self-determination which generations of government repression have denied Native Americans. Santa Ysabel hopes to positively influence any proposed state I-gaming legislation from its experience with Santa Ysabel Interactive and the months of planning dedicated to establishing a solid operational and regulatory structure. Does Santa Ysabel Interactive plan on offering online slot machines or Class III gaming? No. The tribe feels that to offer Class III gaming over the Internet would be a clear violation of Santa Ysabel’s Tribal-State Gaming Compact with the State, and potentially a violation of state criminal statutes. When and if state law changes to provide for regulated Class III gaming via the Internet, Santa Ysabel Interactive will evaluate the potential business advantage of such an endeavor. What are Santa Ysabel’s plans for the projected revenues earned from its interactive gaming enterprise? The Iipay Nation of Santa Ysabel, whose membership has suffered with high unemployment and a lack of economic opportunity, as well as marginalization and the decades of government repression suffered by Native American Tribes across the United States, is looking forward to applying the revenues generated from Santa Ysabel Interactive to further the economic goals of the Nation, increase the standard of living for the Nation’s members, invest in tribal infrastructure improvements, and achieve economic self-sufficiency. Anticipated infrastructure investments include community resources, services, and education opportunities for youth, re-investment in Tribal business opportunities which offer job training and careers for Tribal membership, community support and assistance to empower and engage families and community members in need.